The first time the “Godfather of Cocktails,” London-trained barman Vincenzo Marianella, came into my life was over the phone back in 2008 when I was trying to get a hold of him for a sneak peek at his epic 75-cocktail menu. At that time he had left his successful stint at Michelin-starred Providence to be the head barman at Cedd Moses’ members-only bar, The Doheny (now Caña Rum Bar), where he created an impressive cocktail program. I was never able to nail him down for that project, however, as that following year he left to partner with Buddha’s Belly owner Jonathan Chu and open Copa d’Oro in Santa Monica. There he headed up the city’s first farmers market-fresh bar program. That’s right, before Matthew Biancaniello appeared on the scene with his forest of produce at Hollywood Roosevelt’s Library Bar, Marianella was named “Best Bar Chef” in 2006 by Starchefs.com and making drink ingredients straight from Santa Monica’s farmers market. We can also thank him for training the likes of America’s Top Bartender Joseph Brooke (Formosa Cafe) and Zahra Bates (The Pikey), who is also his partner in My Mixology, a cocktail consultation company. They’ve created the opening bar programs for Pasadena’s Trattoria Neapolis and Santa Monica’s SHOREbar. Fast-forward to now and when Marianella is not out traveling the world on his motorcycle he is pulling shifts behind the bar at Copa and is also working on some new places. “One in Manhattan Beach which will be called Love & Salt and one just outside Seattle,” he said. And apparently Copa is about to go through some changes itself but he’s not allowed to talk about that just yet. 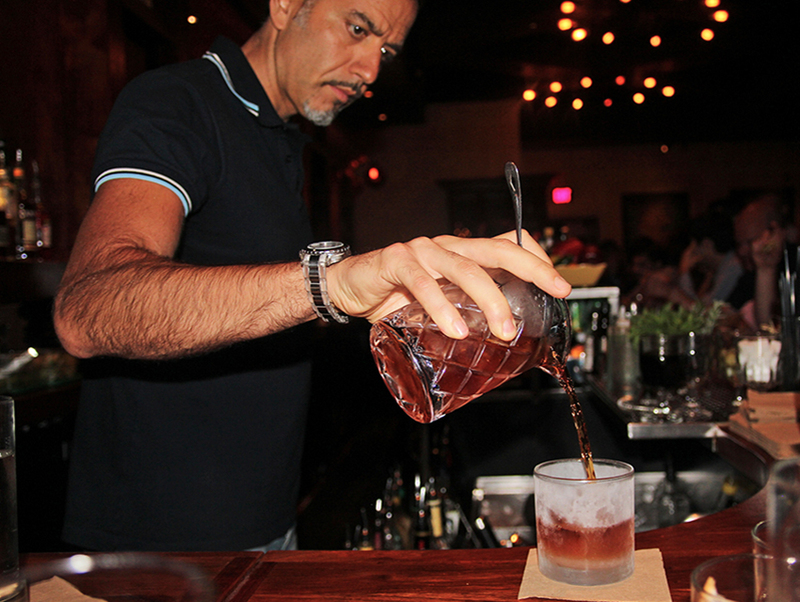 I was able to catch up with him for my recurring Q&A with L.A. bartenders. Here are his very quick answers.